Finally got an opportunity to combat test my Bullpup RS’ new internal setup. 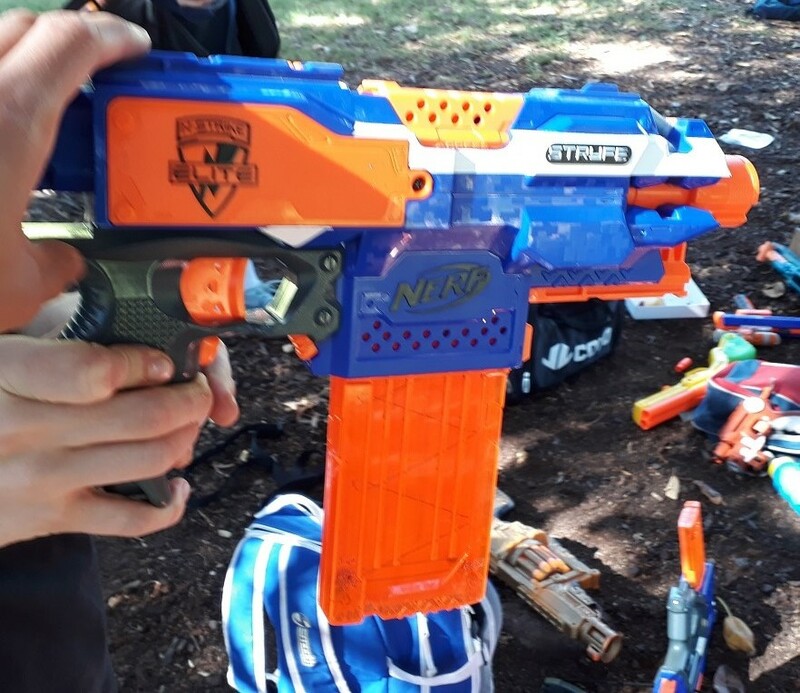 Elite Rapidstrike (various internal setups) – full-auto, mag-fed flywheeler. 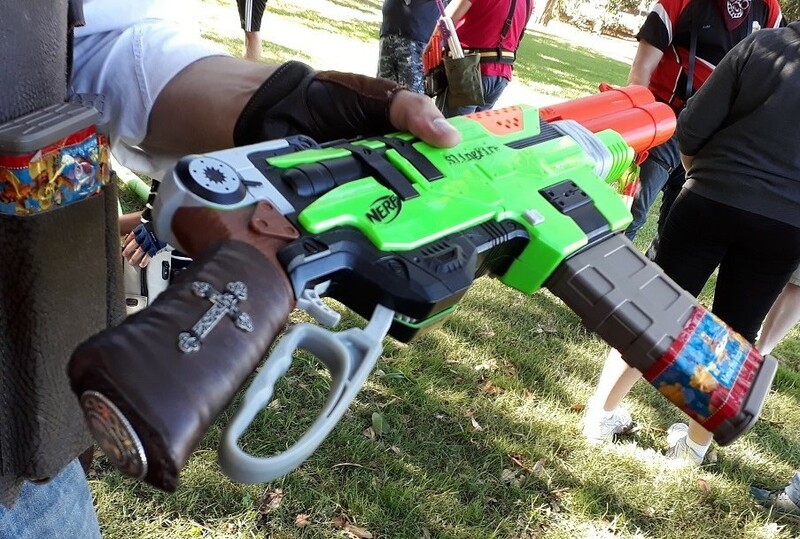 High ROF blaster exceptional in close quarters, against groups of zombies and accuracy-by-volume, but can be wasteful with poor trigger control. I finally had a chance to test out my Bullpup RS, with CC Cyclone wheels and a re-aligned brass guide. 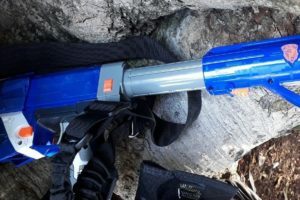 It worked excellently; whether from the new flywheels or the properly aligned guide, I felt that it was a lot more accurate than previously, and could reliably hit zombies from much further away with a short burst. 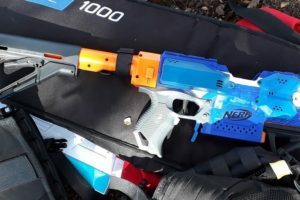 Elite CAM (various internal setups) – semi-auto, mag-fed flywheeler. 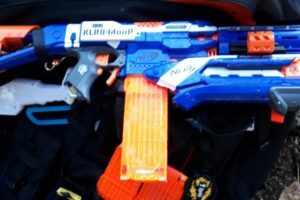 Essentially a Stryfe with a large body, a solid all-round blaster effective in most HvZ engagements. 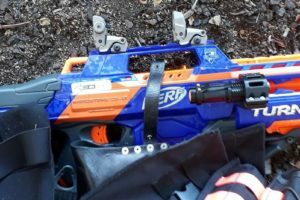 Though the two sport vastly different builds, I felt that my CAM was significantly less accurate than my Bullpup RS – I saw a lot more darts fly away from the direction I was aiming. Additionally, I had a few issues with mag retention, with mags requiring a lot of insertion force to lock properly, and easily dropping out if the mag release was even slightly moved. Doomlands Lawbringer – hammer-action, revolver springer. Notable for being a one-handable springer. Essentially a beefed up Hammershot, effective for a light scavenger/run-and-gun playstyle. Dart Zone Magnum Superdrum – slide-action, revolver springer. 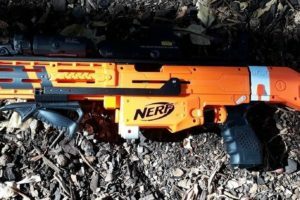 Notable for its massive 40 dart capacity in a removable drum, and quite good stock power. Excellent for a light but still powerful scavenger/run-and-gun playstyle. 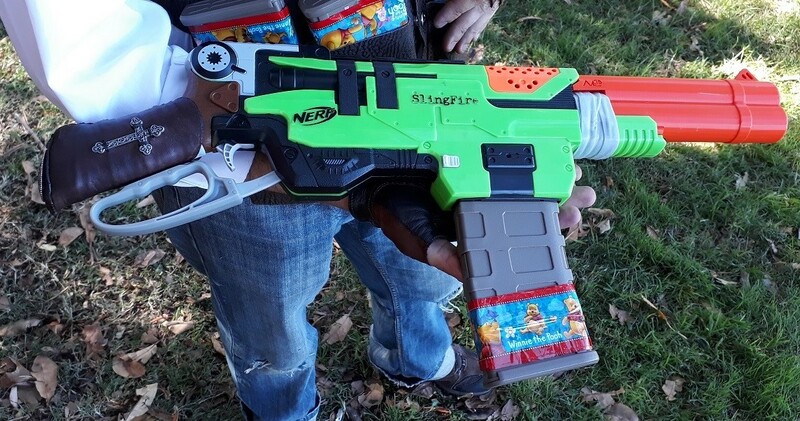 Quite effective in most HvZ engagements. 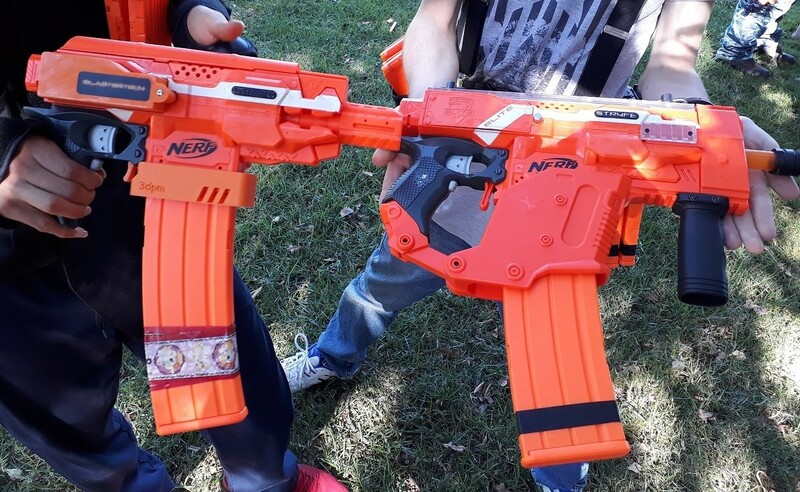 A solid starter blaster, but not available in Australia unfortunately. 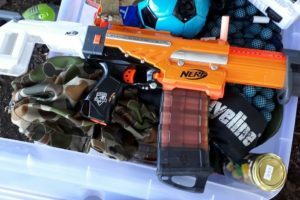 Elite Stryfe (various internal setups) – semi-auto, mag-fed flywheeler. Incredibly versatile and highly popular. 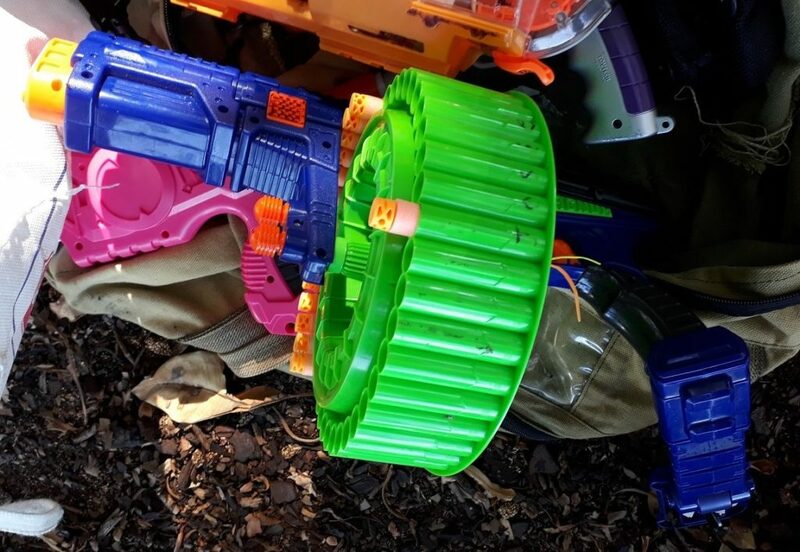 Good power with a good internal setup, fairly high ROF, very easy to use and highly effective in most HvZ engagements. An excellent starting blaster. 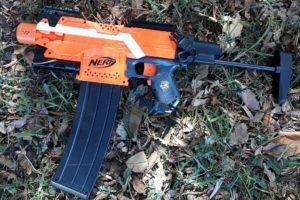 Modulus Regulator (various internal setups) – full-auto, mag-fed flywheeler. 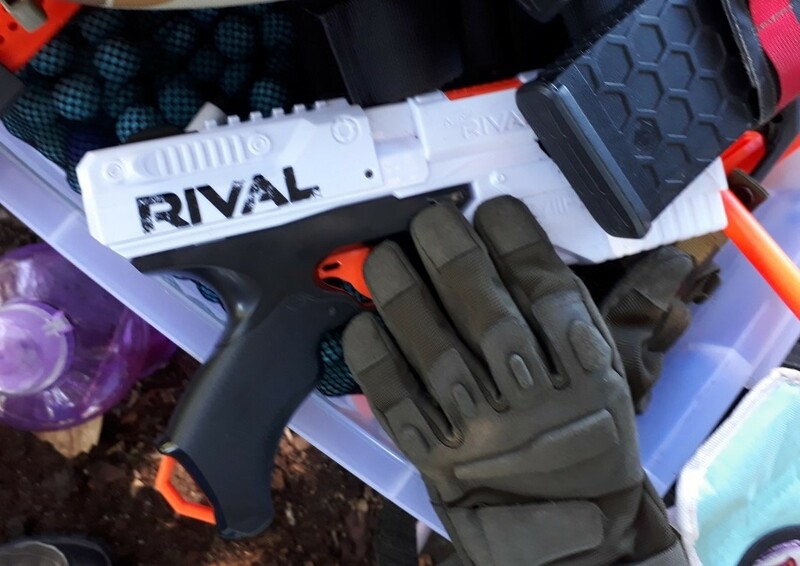 Can work roughly as well as Rapidstrikes in a high ROF role, however their more awkward and restrictive ergonomic design, internal complexity and price make them far less popular. The canted stock flywheel cage and belt feed are also notable flaws. 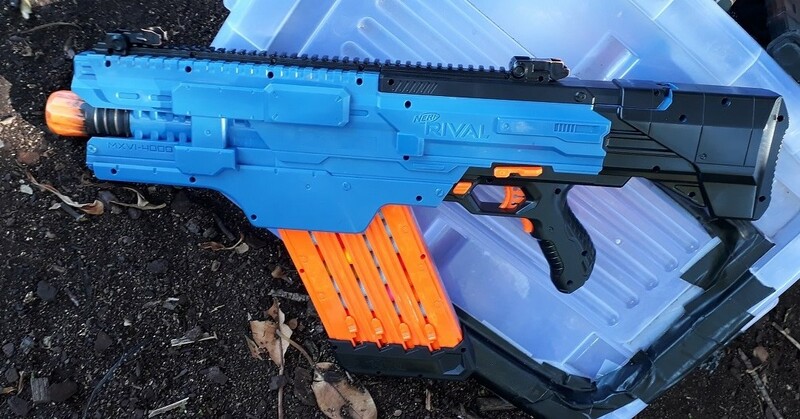 Rival Kronos – slide-action, internal mag-fed springer. 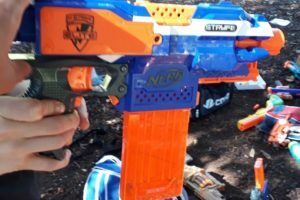 Quite powerful for a stock blaster and maintains accuracy to a good distance. Low capacity makes it suitable only for sidearm use, or in a very light scavenger/run-and-gun loadout. Suffers from all the usual Rival drawbacks, primarily ammo scarcity (less of a problem with MHvZ now having a Rival loaner pool) and Rival balls losing speed and accuracy rapidly beyond ~15m range. 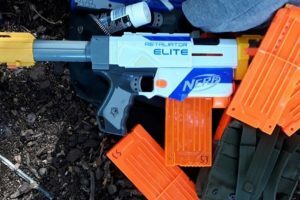 Elite Retaliator/variants (various internal and external setups) – slide-action, mag-fed springer. Often fitted with a pump grip for faster, easier priming. Very versatile and quite popular. 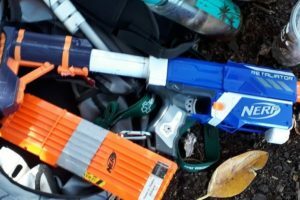 Can pack more than enough power for HvZ, with reasonable ROF. 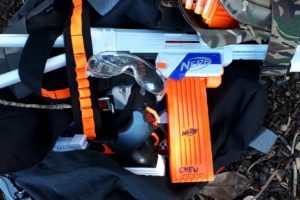 Effective in most HvZ engagements, though a little vulnerable against larger groups and in close quarters. 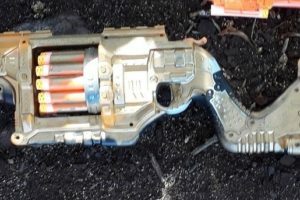 An excellent starting blaster. 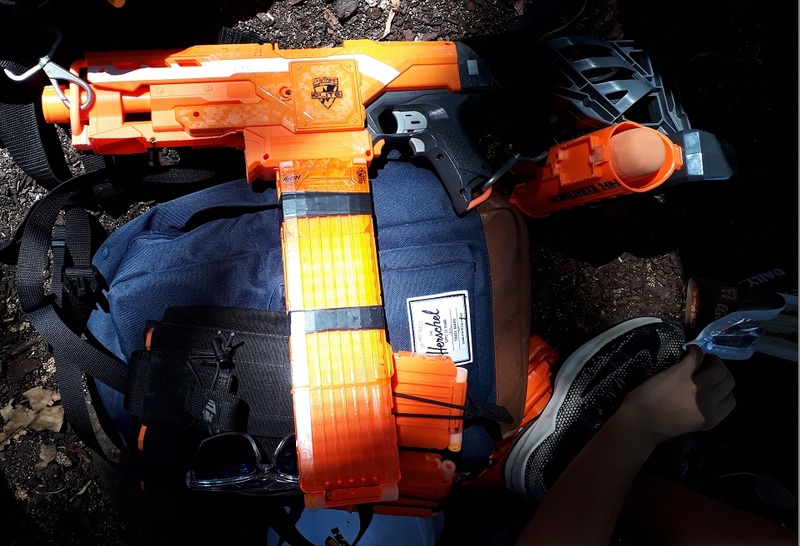 ZS Slingfire (variours internal and external setups) – lever-action, mag-fed springer. Notable for being a one-handable mag-fed springer, and sheer style factor. Besides this, it is otherwise outclassed by a well made Retaloid, which will possess similar or superior power, and similar or superior ROF. 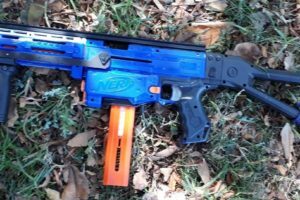 Modulus ECS (unknown mods, if any) – semi-auto, mag-fed flywheeler. 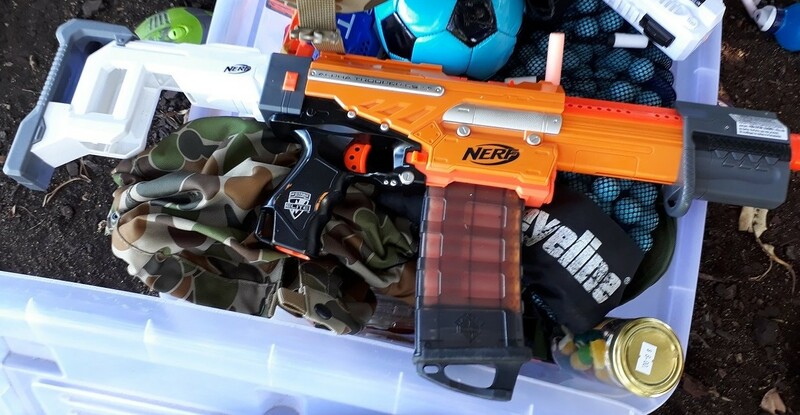 Essentially a bulky Stryfe, with very similar traits. 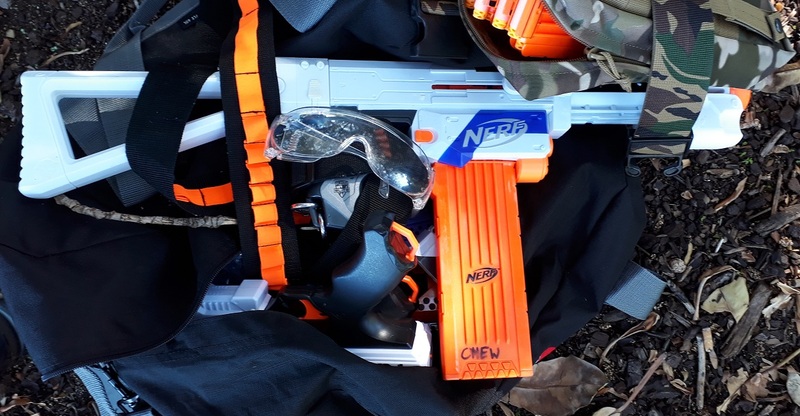 Solid overall performance, and can handle most HvZ engagements effectively. 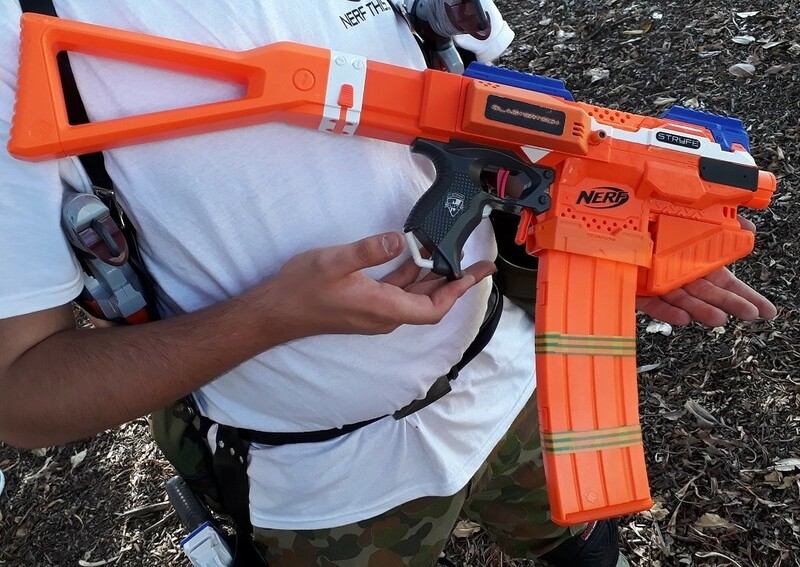 Elite Demolisher (unknown mods, if any) – semi-auto, mag-fed flywheeler. 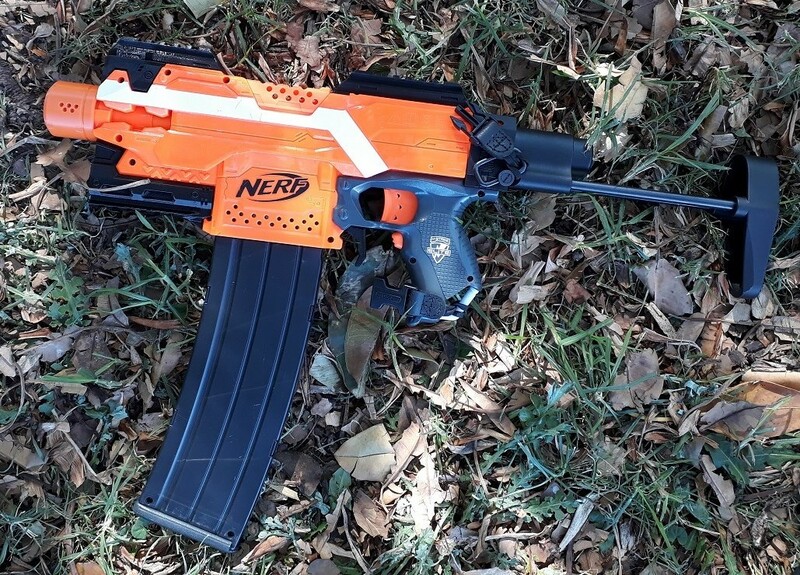 Essentially a bulky Stryfe. 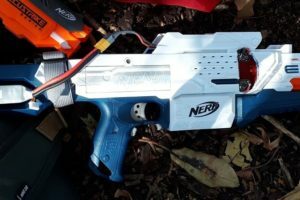 Rival Nemesis (stock and rewired) – full-auto, hopper fed flywheeler. Notable for its massive capacity, in excess of 100 balls. Exceptional at suppressive fire, area denial and hosing down zombie groups. Very easy to use wastefully if trigger control is lacking, and suffers from the usual Rival drawbacks. 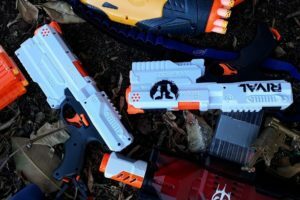 X-Shot Turbo Advance – pump-action, revolver springer. Also notable for its substantial 40 dart overall capacity, and in particular its ability to “switch” between the two sets of 20. 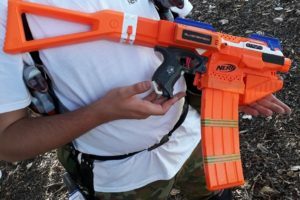 Quite large and bulky, making it less suitable for a light, run-and-gun playstyle, but still quite effective in most HvZ engagements. 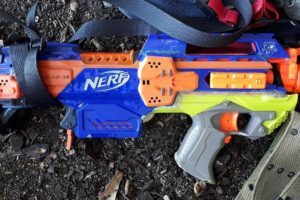 A solid starter blaster. 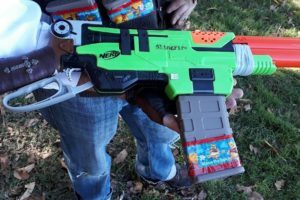 Elite Alpha Trooper (unknown mods, if any) – pump-action, mag-fed springer. 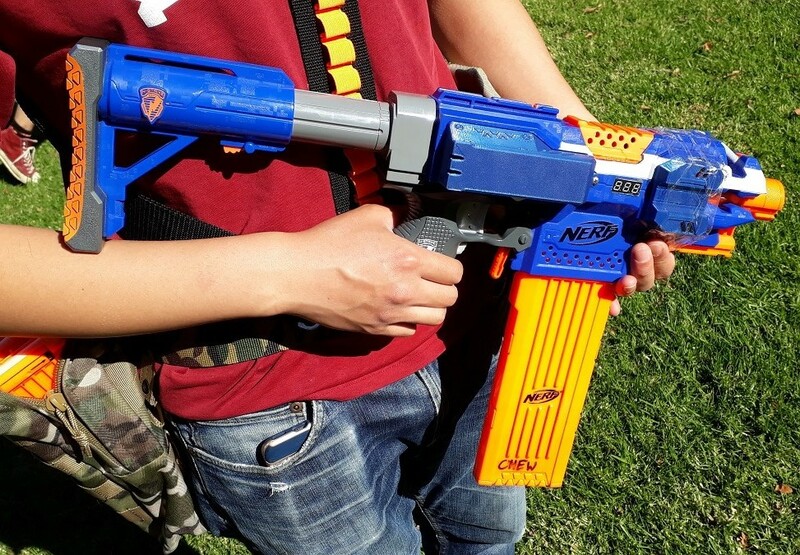 Solid all-round blaster, notable for its out-of-box pump-action. 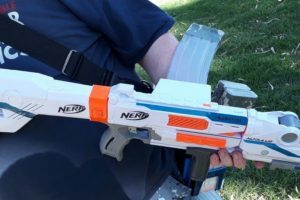 It is otherwise internally inferior to a Retaliator/variant however, and with less power and internal structural integrity. 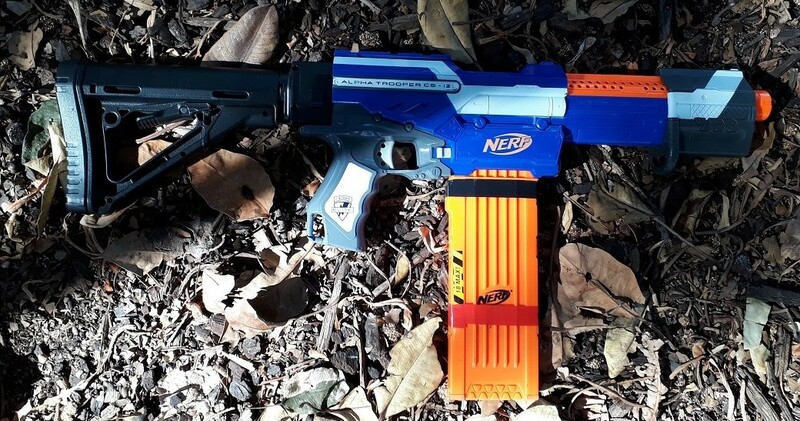 A solid starter blaster. 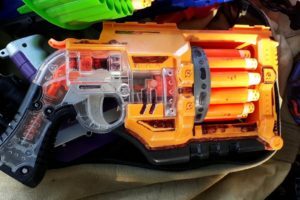 Doomlands Desolator (unknown mods) – semi-auto, mag-fed flywheeler. 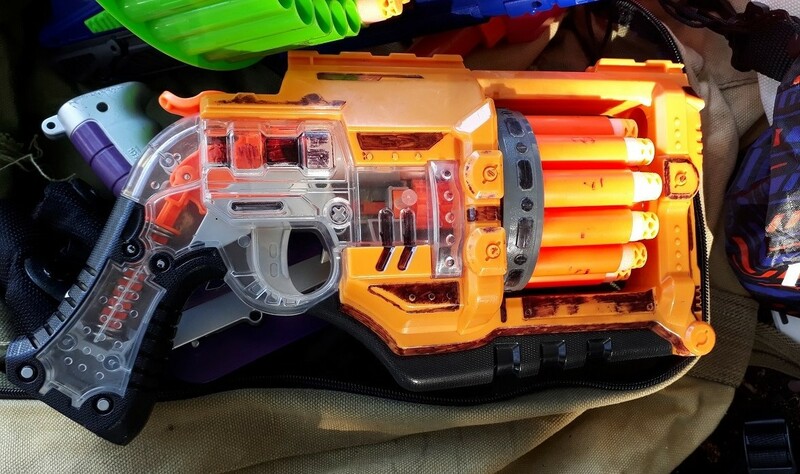 Essentially a Stryfe in a fancy shell. 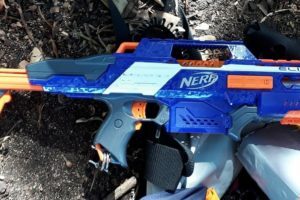 Elite Rampage (unknown mods, if any) – pump-action, mag-fed springer. Notable for its out-of-box pump-action and side magwell. Internally superior to an EAT, however the side magwell can pose a significant issue. Overall a solid blaster, decent power and ROF. 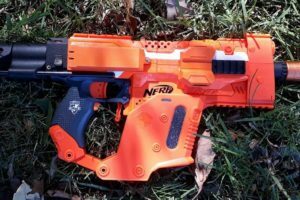 A solid starter blaster if you can tolerate the side magwell. 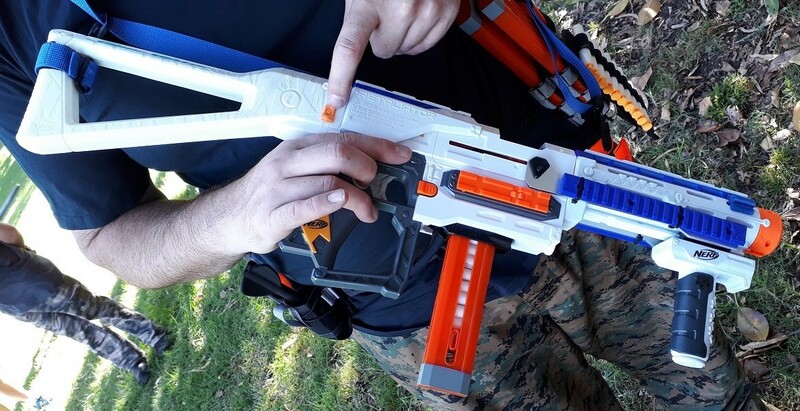 Air Zone Triple Shot (set up to fire missiles) – pump-action, revolver springer. Completely ridiculous and entirely pointless for MHvZ. Has an effective range of about 3m, owing to severe missile veering and inaccuracy, and missiles have no special effect at MHvZ. Also had some catch issues, though I am working on fixing that. Would be far more practical if missiles had special effects, or if set up to fire darts. 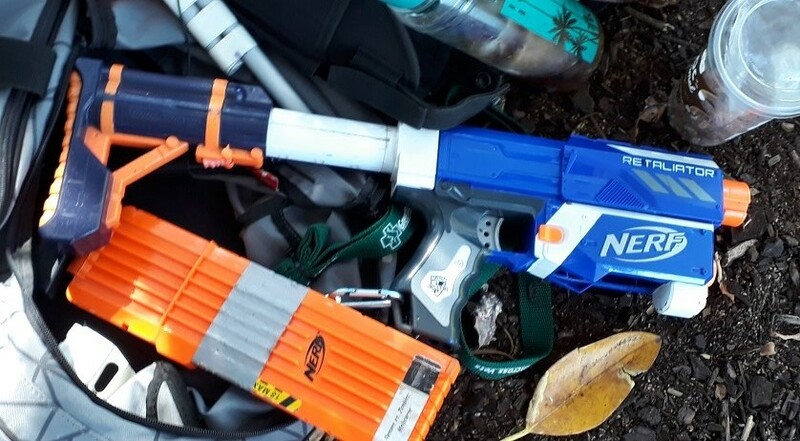 Modulus Mediator (various springs) – pump-action, mag-fed springer. Essentially a super-compact Rampage. 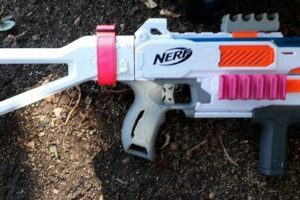 I found it surprisingly comfortable, however it seemed a little weaker than the Rampage. 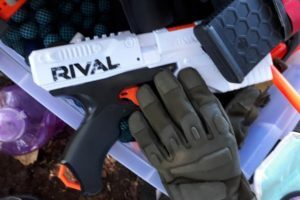 More combat testing is needed for a final conclusion, but it seems to fill a similar role to the Rampage and a base Retaliator – a compact, all-round mag-fed springer. 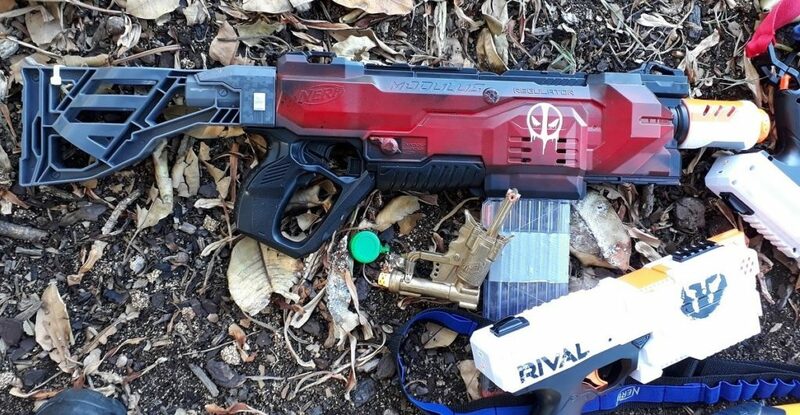 Rival Khaos (rewired) – full-auto, mag-fed flywheeler. Solid all-round performance with a high ROF and notably high stock power, and can be reloaded quickly if spare mags are available. Spare mags are however very large and bulky, and much more difficult to carry than most dart mags. Also suffers from typical Rival disadvantages. 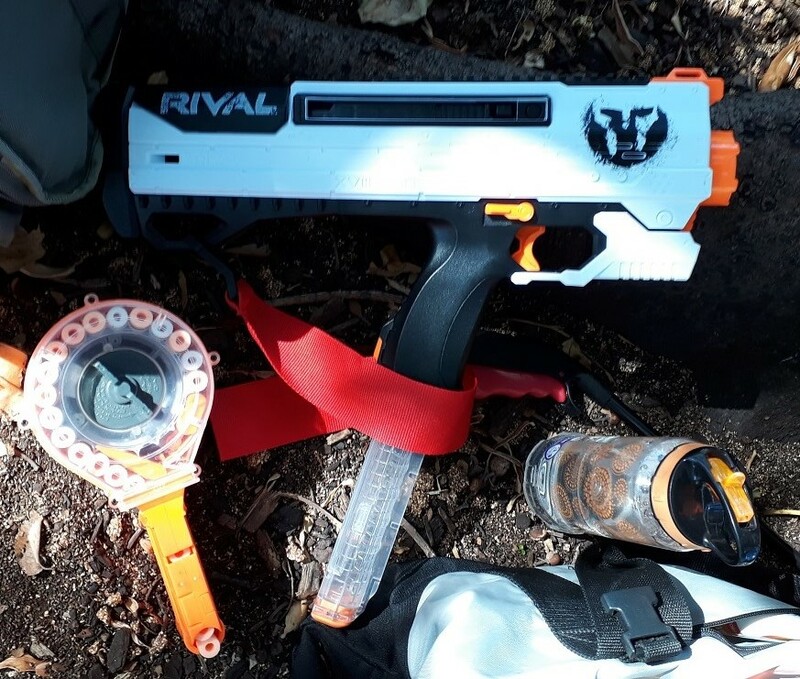 Rival Helios – bolt-action, mag-fed springer. Good stock power and accuracy. Somewhat low ROF, and relatively low capacities (only 7 or 12), and suffers from usual Rival drawbacks. Buzz Bee Sentinel (brass breech) – lever-action, mag-fed springer. 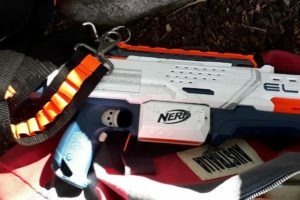 Very powerful and very accurate with the Worker darts, exceptional at picking off zombies from surprisingly long range. Low ROF makes it quite vulnerable in close quarters and against groups. 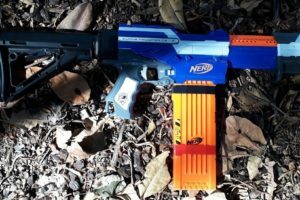 Blasterforge Micro – pump-action, mag-fed springer. 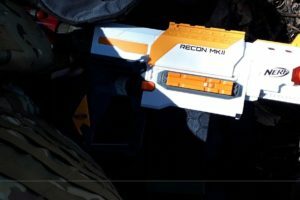 Essentially a custom shell housing Retaloid internals, so performs essentially like a similar spec Retaliator. X-Shot Angel Fire Bow (rebarreled) – pull-back, single-shot springer. Fairly powerful and reasonably accurate, effective at picking off zombies from longer ranges. Very low ROF makes it near useless in close quarters or against groups. 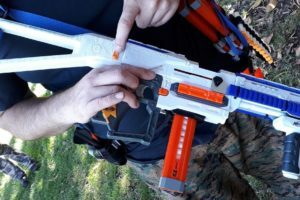 Elite Crossbolt – slide-action, mag-fed stringer. Fairly quiet and reasonably accurate, however offers very few advantages in MHvZ’s primarily open play area. Slow ROF in particular puts it at a significant disadvantage to most other blasters. Same play area as always. Temperature was quite cool peaking at around 21C and it was quite sunny, making for quite a nice day. Player count was lower than usual, peaking at around 30. Many were newer, inexperienced players. 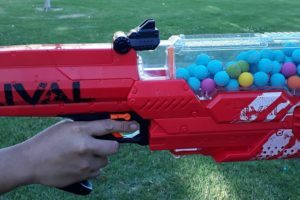 During this event, we saw the introduction of an official Rival ball pool for MHvZ, consisting primarily of Headshot rounds. As a non-Rival user, I cannot comment on their effectiveness. Throughout the day we also saw quite a few non-players enter and use parts of our play area, which forced the later games to be primarily small, localised ones. First round, as always was a standard Survival. While in most such rounds I would stay with a small group of trusted humans, this time I actually spent quite a lot of it alone. There were two main advantages as a lone human. Firstly, I was even less noticeable than when in a small group, being less visually obvious and more difficult to hear. As such, it was rather easy to hide in plain sight, as zombies were typically drawn to the larger human groups. 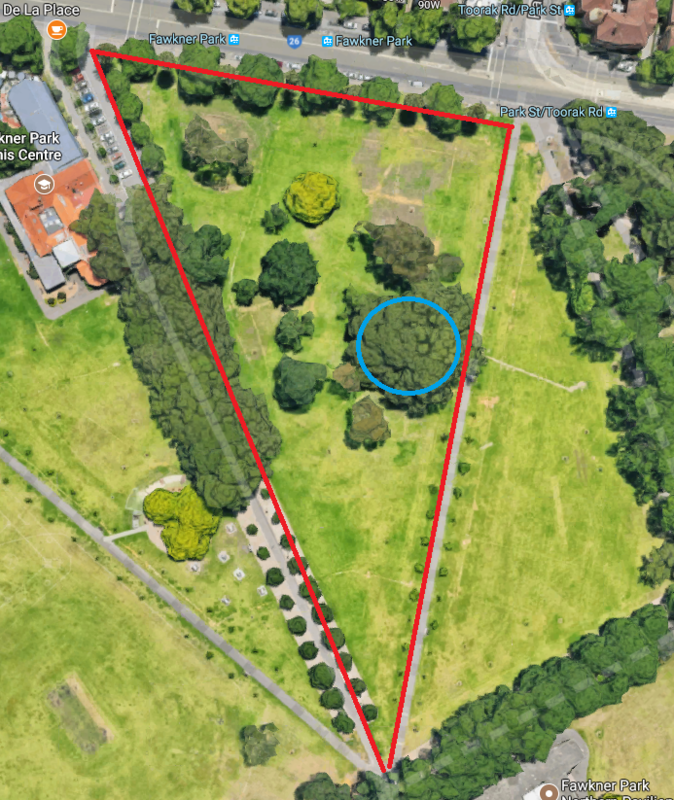 Secondly, I presented a much less substantial target. Sure coordinating the entire horde against me would have a reasonable chance of success, but by the end of it they would only have one extra zombie, and it certainly wouldn’t be easy. 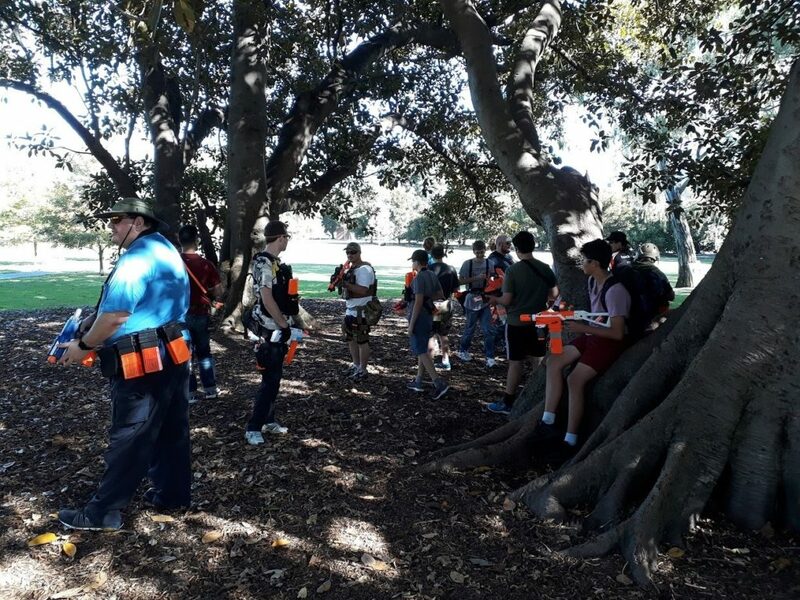 Attacking the larger human groups with less experienced/well-armed players instead would likely be met with walls of foam, but also opportunities to tag multiple humans. Obviously as a lone human I was quite vulnerable if the zombies decided to target me, especially against Tanks. Furthermore, without other humans to watch my back and sides, I was more jittery and on-edge. Throughout the round I would occasionally join up with various human groups, usually when forced into combat by zombies. Whenever a small opening on the side opened up however, I would take it to escape the human group and pursuing zombies. 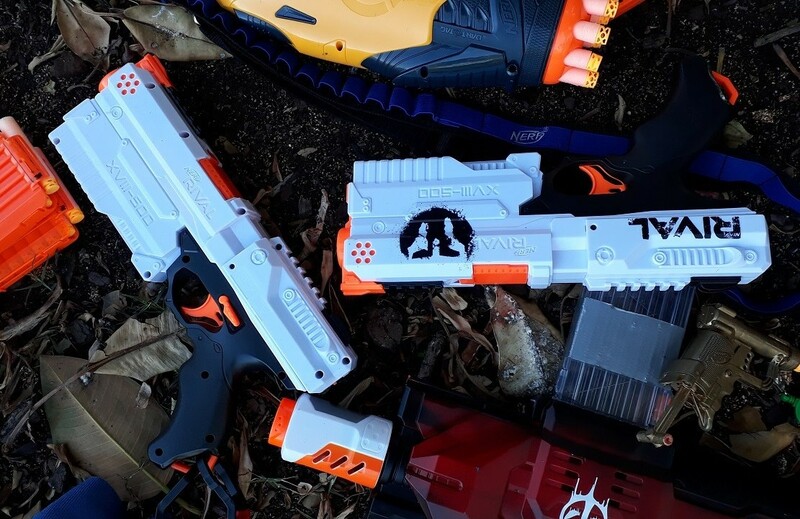 At most I would have to stun about three zombies, but often I could get away without firing a single dart – intimidation plays quite a large role in HvZ. Sticking to this tactic throughout the round resulted in me being the last survivor. The second round was another standard Survival, and again I used the same tactic. This time however, I was much more tired from my efforts in the previous round. 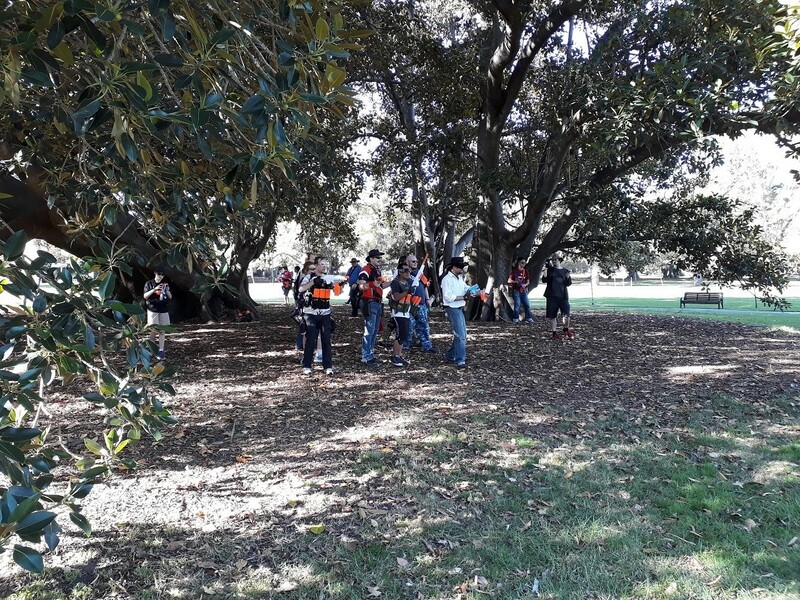 As the human group dwindled to the final few, I was cornered alone by many zombies. With my energy almost all gone by this point, I was unable to outrun the zombies and was tagged, somewhere in the last five or so survivors. After lunch, we played two rounds of Space Pope, and both progressed very similarly. I was the Traitor in the second round. In both cases, the zombies made little progress into the human defences, prompting the Traitor to grenade the General. In the first round, the Traitor was grenaded before tagging anyone else, while I used my Traitor tag on another human. In both cases however, the humans were able to hold firm against subsequent zombie charges, resulting in two easy human victories. In many previous game reports, I would criticise the Traitor for failing to make a bigger impact on the human group, yet I did exactly the same thing when I was a Traitor. I feel like I have a much better understanding of why Traitors so often take the easy option of just taking out the General. The pressure on the Traitor is immense; especially in recent events the zombies have had a very poor success rate in Space Pope, and are relying heavily on the Traitor for the winning edge. With the zombies achieving seemingly less tags however, there are less zombies for the Traitor to work with, and coordinating any kind of internal and external attack on the humans is very difficult. As such, there is no guarantee that the Traitor opening fire from within would actually have enough of an impact to break the human defences. I feel now that players have developed significant experience with Space Pope, holding a defensive line in a small area is a lot easier and the claustrophobia of Space Pope is less of an issue. 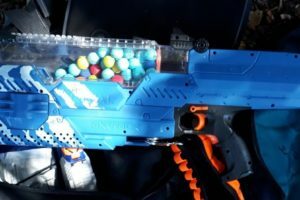 Additionally, the average loadout has substantially improved, with far more flywheelers and in particular short dart firing blasters, which are substantially more accurate and effective at range. With short darts now readily available, it is even easier for players who are so inclined to build and use precision blasters, making it even easier to hold off zombies from further away. Many of the more recent zombie victories have been due to altered circumstances (e.g. two Traitors, higher starting zombie count) or simple but costly mistakes (e.g. Space Pope having poor situational awareness). Compared to earlier Space Pope rounds, the humans have been performing far better, with a much higher win/close-to-win rate. We then played two rounds of a new but still familiar gamemode, “Holdout”. The humans are confined to the tambark area and cannot leave it, while zombies must un-stun/respawn outside of it. The zombies start with Infector and Tank upgrades, and Husk is released at 10 minutes. The last human surviving is deemed the winner. It’s a very simple but also fun gamemode. As I left to pack up my stuff part way through the second round, I will only be describing the first round. As with most other gamemodes, the zombies make the most progress either by picking off unaware humans, or coordinating charges with Tanks. By this time during the day, we had a lot less players and thus less firepower, and I expect a lot of players were getting tired, myself included. 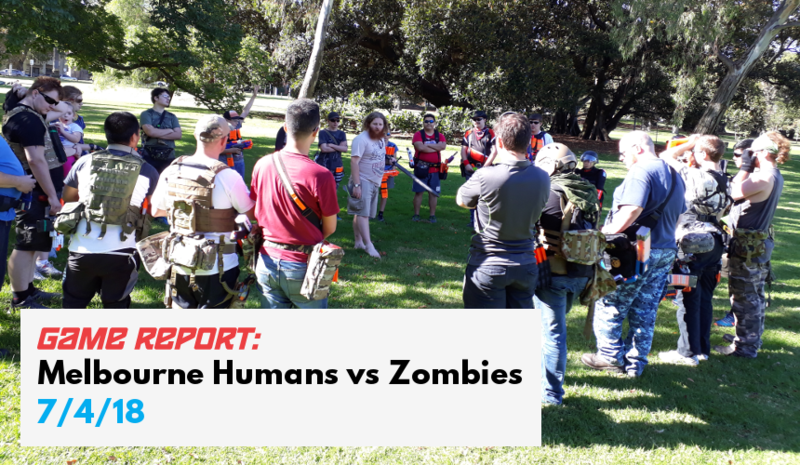 As such, the zombies were able to make much more progress against the human group than in the Space Pope rounds, and later tank charges with consistently picking off a few humans. I spent most of the round away from the bulk of the human group, instead spending my time warding off zombie stragglers from other directions. This kept me out of harm’s way when the Tanks charged, and I was able to avoid a lot of the intense, frontline combat that saw many casualties. One last fateful Tank charge broke what was left of the human defences, and again my position kept me out of harm’s way, easily holding off the few zombies near me. I was quickly recognised as the last survivor and overwhelmed in the small tambark area. I actually rather like Holdout as a short gamemode. It’s simpler than Space Pope making it easier to get running, and much faster and smaller than Survival, making for easier cleanup and avoidance of bystanders. It’s certainly no Survival for scale, and doesn’t have the human team win condition that makes Space Pope unique among the current popular gamemodes. 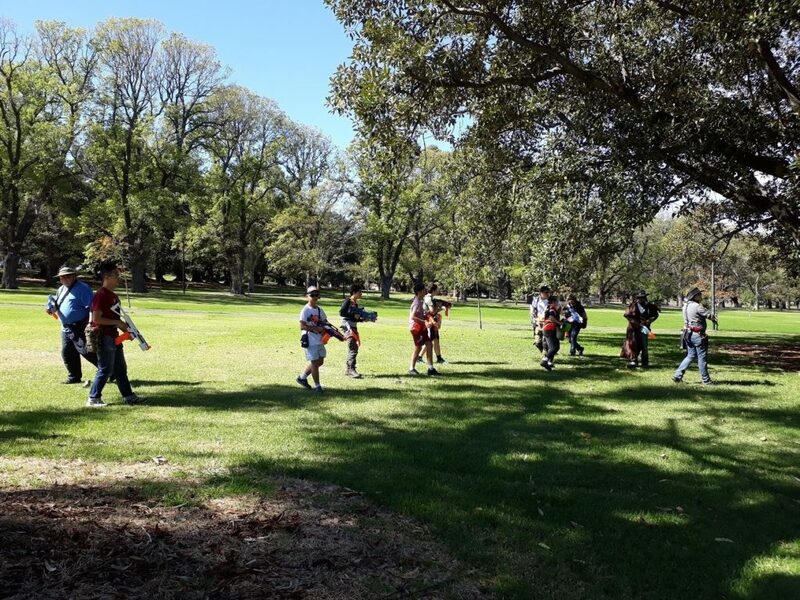 It also skews the odds in favour of heavily armed humans, since mobility is restricted. Nonetheless, for a low complexity quick game, Holdout works nicely. This entry was posted in Game Reports on April 13, 2018 by Outback Nerf. 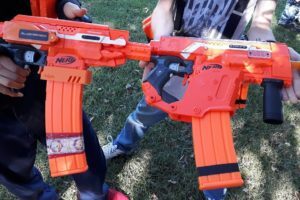 Dart Zone Sure Shot Dart Review Nerf News – Official VORTEX VTX Press Release!